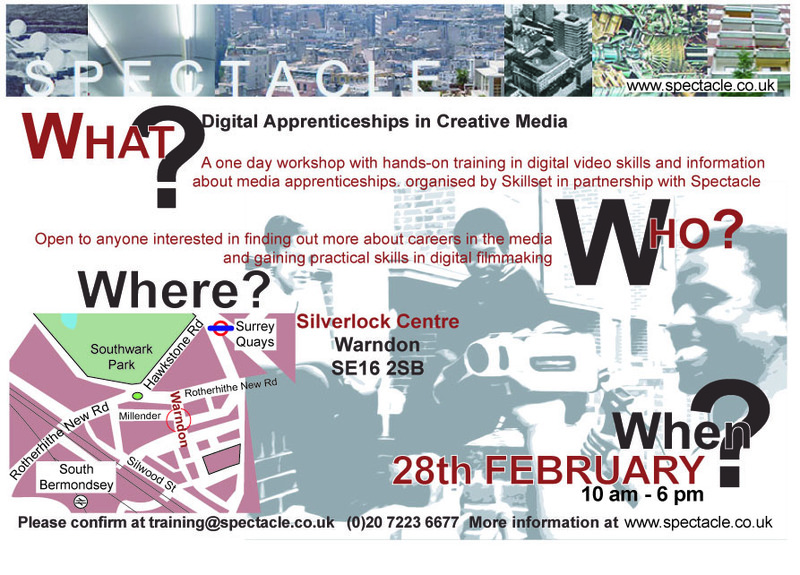 This is a free introductory training day in digital production sponsored by Skillset. 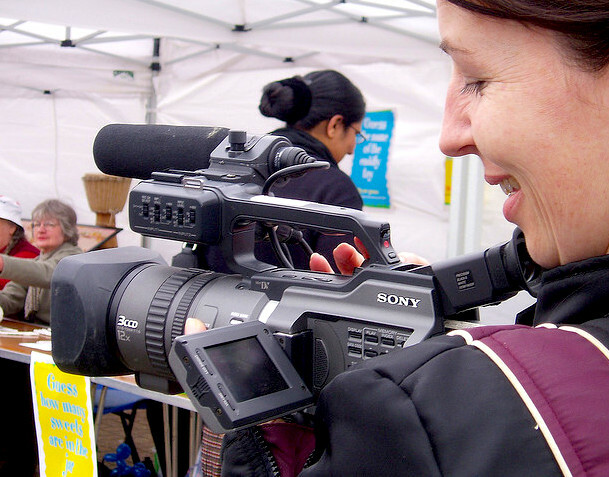 As well as learning the basics of using and operating a camera in a workshop environment participants will get the opportunity to learn about Digital Apprenticeships in Creative Media from a Skillset advisor. This is an excellent opportunity for anyone looking to expand their horizons and learn more about video production as well as those interested in getting some careers advice on working in the media. Places are limited, to avoid disappointment please email training@spectacle.co.uk or call 02072236677 as soon as possible to book your place. To keep regularly updated with all our activities please join our Facebook group.